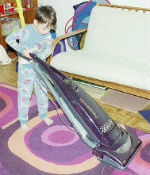 In my last post, I discussed the many benefits of chores for children who have special needs. 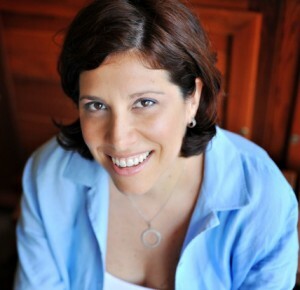 I’d like to follow up today by suggesting some chores that may work well for your child, as well as describing how some typical household tasks can be easily modified to better accommodate your child’s unique abilities. This is a perfect example of a chore that would normally rely too much on judgment calls to be suitable for a child with special needs. When watering plants, one must be able to discern how much water is enough, and how much is too much. The trick… put a tiny number* on each plant with a marker or sticker that coincides with how much water each plant requires. Then, put those same numbers at the appropriate levels of a clear (plastic is best) pitcher that your child will use as a watering can. (With some kids, a large measuring cup may be suitable, but for many, these can be rather complicated to read and you’re better off with a custom-labelled plastic jug). Make sure that your child fills up the pitcher before watering each plant to avoid having to do any subtraction to determine when to stop pouring. A good follow-up to this chore is going to each plant post-watering, to wipe up any spills that may have occurred. *If your child hasn’t mastered working with numbers, this task can be easily color-coded instead… use a pink sticker for the Fern, orange for the African Violet, etc. I would recommend limiting this task to your child’s clothes only – especially at first – to make this chore more relevant and meaningful. We bought a very neat device called a FlipFold. While at first it can be a bit complicated to master, with some practice, it can enable your child to fold like a pro and perhaps even open the doors to a job at a retail clothing store in the future. While the video on the FlipFold website does illustrate how to use it, I’d suggest making one of your own, with less talking and taken from the perspective of the folder. We never run out of toilet paper in our house, thanks to my son, Michael. One of his weekly responsibilities is going into the laundry room, filling up a large basket with rolls of toilet paper that are stored there, and delivering 6 rolls to each of our bathrooms. This is another chore that can be a little too vague without some minor modifications… how do you know where to vacuum as you often can’t see the dirt you’re sucking up? Furthermore, it’s also a bit difficult to see where you’ve already vacuumed and where you still need to go. The solution… There are many carpet deoderizing powders on the market. These are just perfect! Either you can do the sprinkling, or you can include this as part of your child’s chore. Once the carpet is completely covered with the powder, it’s then time to vacuum – and continue vacuuming until the powder is all gone. Because vacuums are usually large and cumbersome, I’d reserve this chore for the bigger kids. Manipulating full trash bins is a little too difficult for my son at this point, but he is very capable of bringing the empty bins in after pickup which he does every Friday afternoon. We avoid having Michael handle stacks of fragile dishes, so we take care of emptying the plates, bowls and glasses from the dishwasher ourselves. It is then Michael’s job to put away all of the silverware. This is a great way to practice sorting and matching – both of which can be important future job skills. Caution… watch for knives and other sharp objects. We always remove these prior to letting Michael begin his job. Michael has been making his own bed for years. He originally learned how with the use of a video that we slowly faded over time. This is now one of the many regular tasks he does completely independently. Michael kind of likes this one… it’s an easy but essential task that needs to be done to get your clothes clean and keep your washing machine working. Michael LOVES strawberries. So with this nifty gadget, we’re in the process of teaching him how to wash and hull his own strawberries, so they are ready for him to enjoy at snack time without having to worry about eating around the stems. I include this example, not because I feel that it is something every child should do… quite the opposite, in fact! It is just a good way of illustrating how many great learning opportunities there are around your own home once you think about what daily living means to your child. How about you? What chores do you designate to your child with special needs?